Confronting the Cycle examines the experience of abuse through intimate belongings. What happens to the items that are reminiscent of abuse and violence? By creating a closet like environment, I pose a scene of where these objects often end up. A shirt worn during a violent relationship, or a necklace given by an abusive partner can often recall memories of anger and sadness, yet they are held onto, kept on a shelf or hanging in the back of a closet. They are pushed out of sight, but nevertheless kept safe. 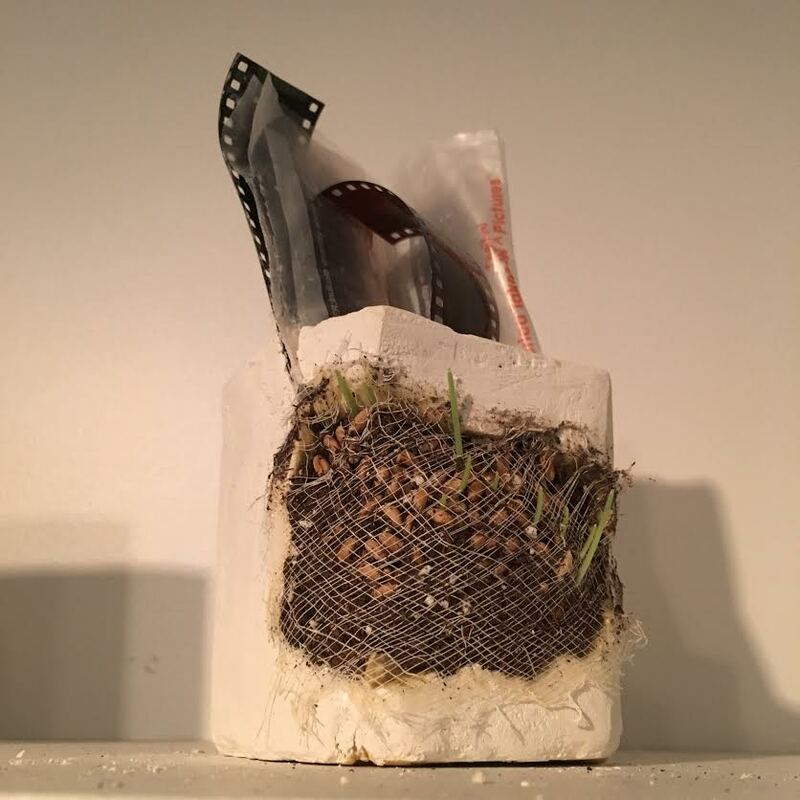 Through the use of materials such as plaster, soil, or wax, I manipulate the items I’ve collected. Whether sinking an object into a block of plaster, ensuring its enclosure, or dipping an article of clothing into wax, I aim for preservation, as they are preserved in the safety of the victim’s keepings. So often people with a history of abuse are silenced or not given the opportunity to speak. For each victim, their objects are proof. The items give voice and validity to not only the hollowing pain experienced, but also the progress of survival. I stuff the objects with pockets of soil and bury seeds of grass beneath a layer of cheesecloth. Like all suffering, it begins, grows stronger, and eventually dies and decomposes. All that is left is the dried blade of grass as a reminder, much like the items I’ve collected. Note - these photographs were taken of this body of work while it was shown in the (RE)Compose exhibition during Artprize 2016.